Out of the 40 minutes played Monday night, UMKC held the game’s lead for 31 minutes against USC Upstate. In the second half, USC learned how to shoot and the Roos defensively let them back in the game. The Spartans shot 64 percent from the field to get back into the game, and won 75-84. 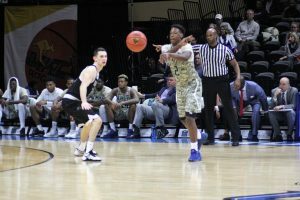 “We thought we would be able to attack their zone – get some close out situations, and we stopped doing those things in the second half,” said Coach Kareem Richardson. He wants the team to build on their communication before their first conference game on Thursday against New Mexico State (13-2). He saw that as one of the positives from the first half of play. Besides shooting well from the field in the first half, 52 percent, the Roos attacked the basket and pushed the lead to 13 points. It would have been only 10, but Xavier Bishop knocked down a 3-point shot from half-court to take the team into the locker room. UMKC had 30 points inside the paint to USC’s 36. Many of the points came from the Roos aggressive plays towards the basket. 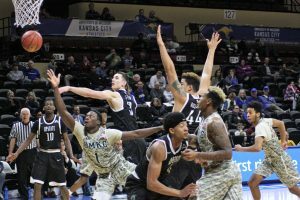 “Coach wanted us to attack the basket a lot, especially me, so that was my job coming into the game,” said Dashawn King. Although most of his points came on free throws, he went 6 for 7 from the line, he drew those fouls while flying through the air inside the paint. (Dashawn King scoring two the hard way). 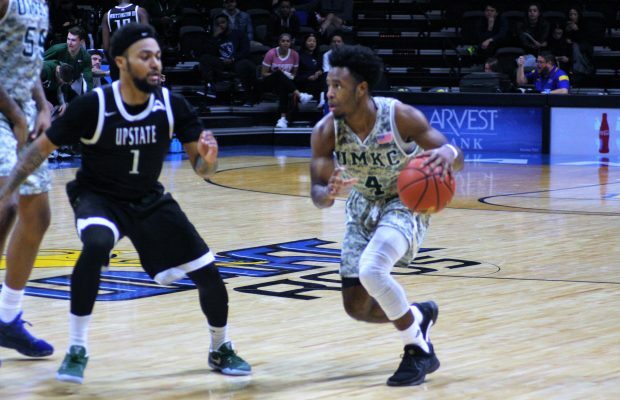 King’s athletic drives to the basket could be summed up on one play where he dribbled the lane and contorted his body around two of USC Upstate’s players, one of them, Michael Buchanan, a 7-footer, and laid the ball off the glass. It was the hard way to score two points, and it helped the Roos go up by 14 with 17:30 to play in the game. 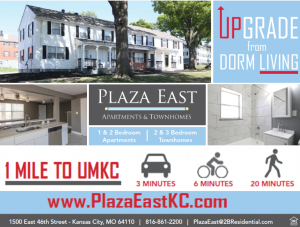 UMKC’s drives to the basket also racked up the fouls. They caused three USC Upstate players to foul out of the game. Isaiah Ross (12), Xavier Bishop (8), and Broderick Robinson (8) hit at least a pair of 3-pointers in the game. Ross showed confidence in his shot. With 10 minutes to go in the first half he caught the ball at the 3-point arc, fooled the defender with a dribble-step towards the basket, and stepped back across the line to knock down the 3-pointer. He went 4-6 from the field and 4-6 from behind the 3-point line. 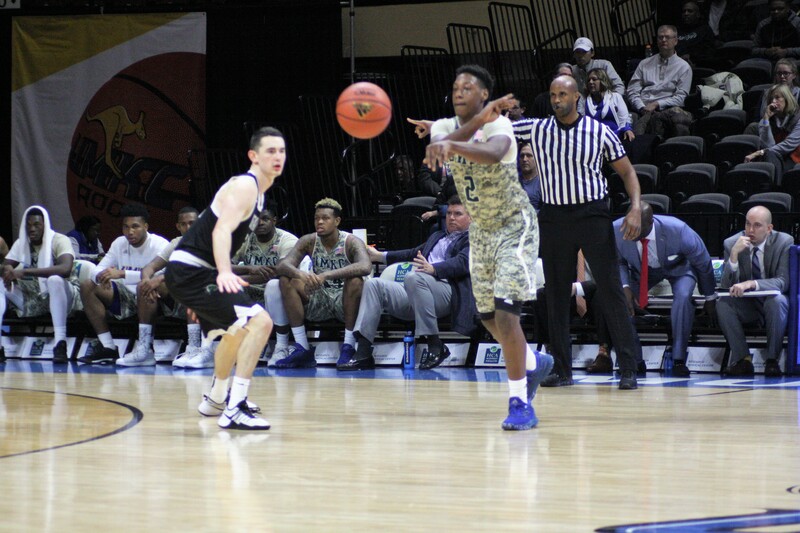 LaVell Boyd led the team in points with 16, and he also led the team in assists with 3. (Isaiah Ross shot 66 percent from everywhere on the court). 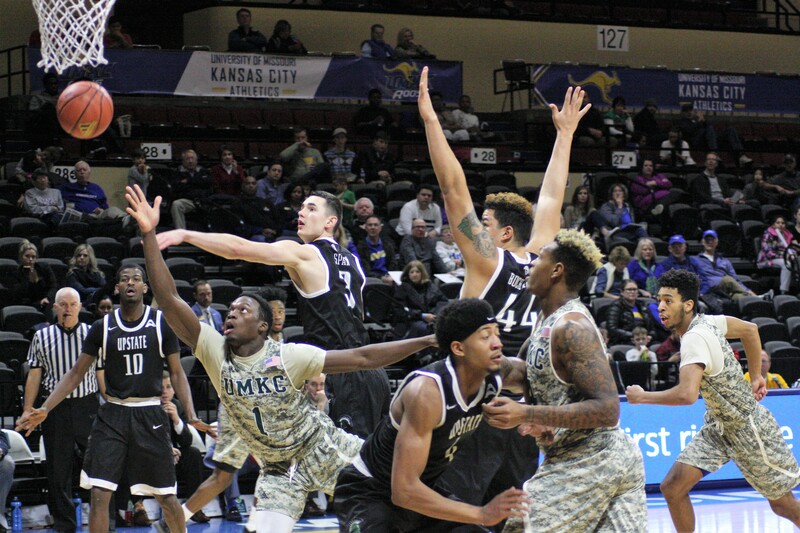 UMKC will take on a difficult opponent to begin conference play in New Mexico State. The game with be on Thursday at 6:05 p.m. at Municipal Auditorium. UMKC has lost their last five games. With conference play beginning they can treat the season like many people treat the New Year. A fresh start.